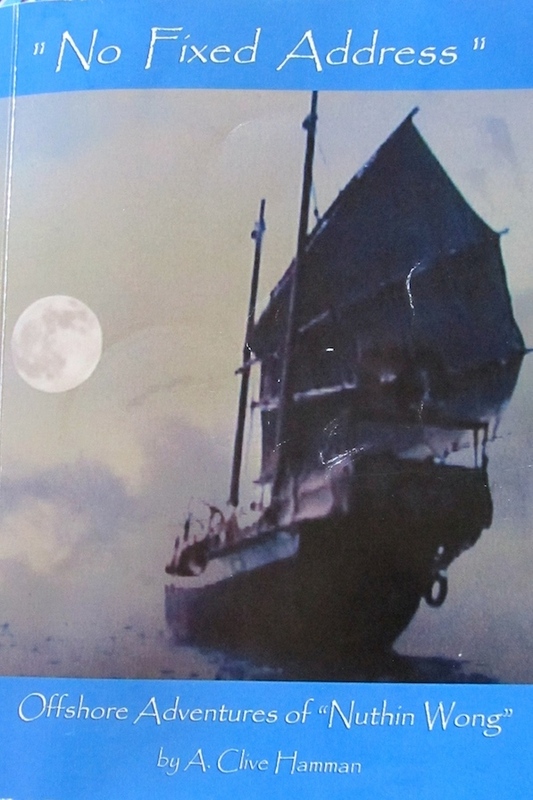 If you’ve ever dreamed about sailing around the world, you’ll identify with the seagoing wanderlust that motivated author Hamman to build a 47-foot Chinese junk and sail west from Vancouver Island to Nova Scotia, a total of 34,000 miles in 9 years. Instead of completing his circumnavigation by returning to Vancouver Island, he then sailed from Canada back across the Atlantic to Ireland and the Mediterranean. The skipper located crew, when necessary, by posting fliers, advertising in local newspapers, or appearing on radio talk-shows for “co-adventurers” who would agree to share costs, duties, and whatever expertise they might have in order to arrive at their intended destinations (or to jump ship if they found the experience disagreeable). The frequent use of maps with course lines keeps the reader oriented to various parts of the world. Pictures of his mostly young crew and rusty steel junk add reality to his writings. While reading Clive Hamman’s No Fixed Address, I was struck by the similarity of the author’s style with that of Jack Kerouac’s On the Road, written in the late 40’s about his travels across America … spontaneity, slangy language, a quest to find meaning in life, and razor-sharp descriptions of seemingly endless predicaments and adventures. I thoroughly enjoyed both books. Reviewer’s note: In May 2015, I had the opportunity to meet the 69-year-old author, who was selling autographed copies of his book at a farmer’s market on Quadra Island, British Columbia. At the time, his boat was on the hard in Panama and he was planning on “getting out of town” in January 2016 to begin his return voyage to Vancouver Island. He apologized for the grammatical and punctuation errors in the book, but said I could “still get the gist of his adventure.” I certainly did, especially his repeated encounters with Indonesian pirates, and have since removed Indonesia from my list of future cruising grounds.